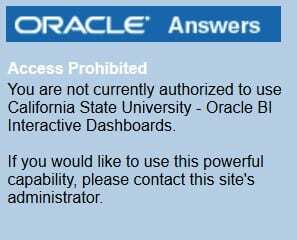 The CSU Chancellor’s Office is upgrading CFS Data Warehouse from Oracle Business Intelligence Enterprise Edition (OBIEE) version 11G to version 12C. At present, both versions are available for users to login and run their reports (Figure 1). However, we recommend users start using 12C since 11G will be decommissioned on Friday, March 15th. The functionality of the Data Warehouse remains largely the same. Most 12C changes affect back-end processes. The primary OBIEE 12C front-end change is an enhanced graphical interface. 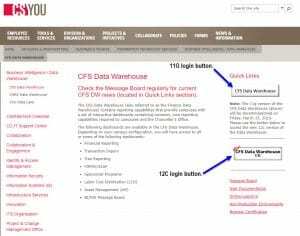 Current CFS Data Warehouse users will have access to 12C so there is no need to submit a Finance Systems Access Request form. Pages (Reports) you are familiar with in 11G will can still be found in 12C. No need to recreate any saved reports in the new environment. Users saved customizations in 11G will transfer to 12C; though beginning today, we recommend users save new customizations in the 12C environment. Do note, the Page Options icon where users will find their saved customizations is now a “Gear”. Refer to Figure 6 and 7. To assist users, we have scheduled additional Finance Open Lab sessions and are in the process of updating our CFS Data Warehouse instruction guides. Do contact Finance Support with any questions at financeconnect@sjsu.edu or 4-1558. Please forward this announcement to staff and faculty in your area, as needed. 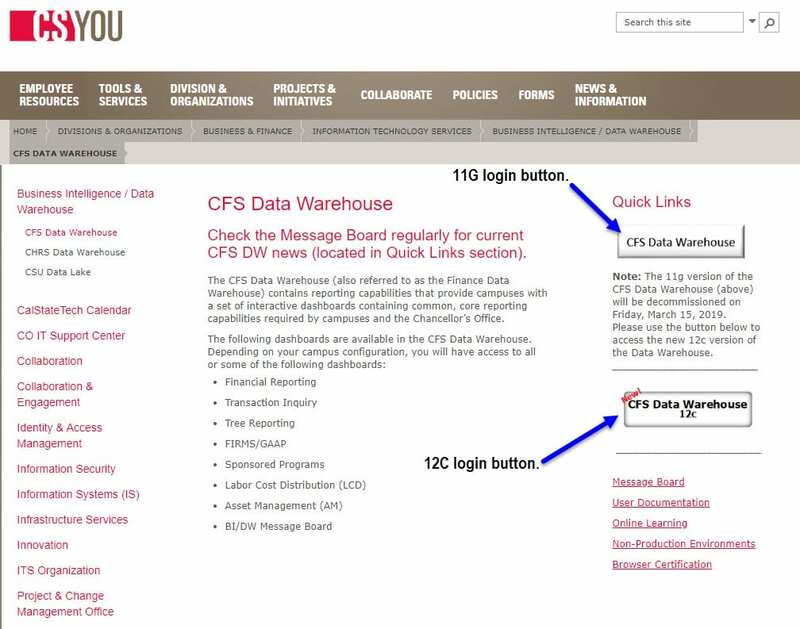 Figure 1: Both CFS Data Warehouse 11G and 12C are available to users. We recommend users to start using 12C because 11G will be decommissioned on March 15th. Figure 2: Home (Landing) Page displays the Dashboards. Each dashboard is accessible via a tile on the Home Page. Figure 3: The BI/DW Message Board Dashboard that previously displayed the last refresh date and time has been incorporated into the Home Page. Figure 4: Reports that are opened from a Dashboard Page/Tab with multiple links, will display each linked report in its own tab. In this example, Open PO Reports Index contains multiple Open PO reports. Open PO Views is selected. Figure 5: When you close the secondary report, the additional tab will also close. In this example, a tab for Open PO Views report displays and when closed, the tab will disappear. Figure 6: Page Options icon is now a “Gear”. Figure 7: From the Page Options menu, users can save new, edit existing, and apply saved customizations for the page (report).